Apple’s Phil Schiller just announced slightly refreshed iPod nanos. It appears to be largely the same design as the current nano with an altered UI allowing you to swipe through large icons. They’ve also included improved Nike+ fitness features, and included 16 new watch faces. We’ve also learned (via MacStories)that the 2010 iPod nanos will be able to get the new features via a firmware update. 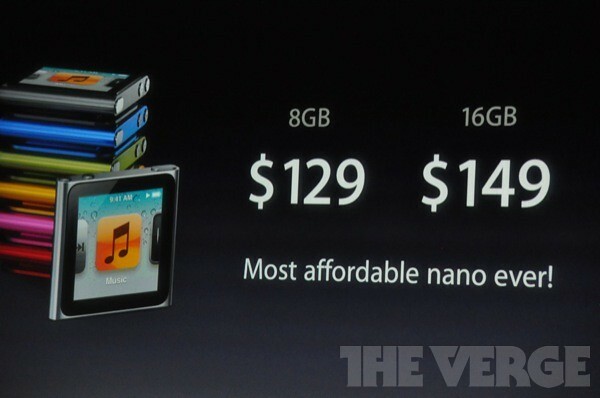 The iPod nano will be available starting today in seven colors for $129 for 8GB and $149 for 16GB.